FITCI | FITCI FITCI is a incubator and accelerator for science and technology-based business. 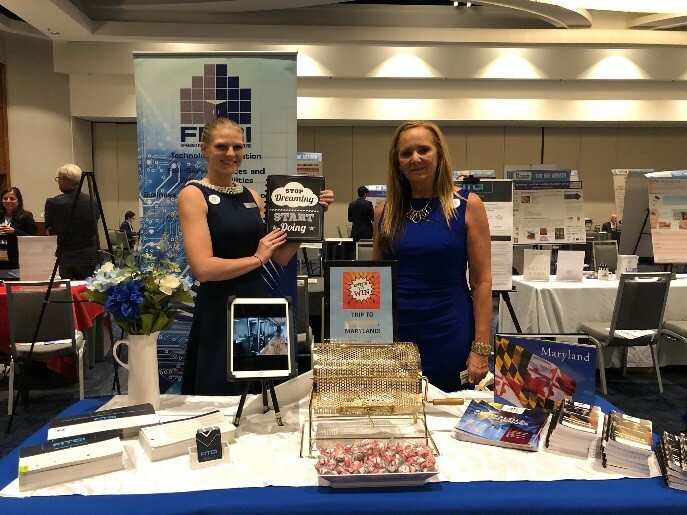 The staff and clients of Frederick Innovative Technology Center, Inc had an entertaining and educational visit to Boston’s Redefining Early Stage Investments (RESI) 2018 conference. Mesa Science, RebuImmunity, Theradaptive, RoosterBio and Abilis Life Sciences joined FITCI’s CEO Kathie Callahan Brady and EA Kelly Tinlin in showcasing their companies’ latest innovations and connecting with valuable resources within the industry. The clients utilized the opportunity to take part in several different entrepreneur workshops, such as; “Fundraising Boot Camp”, “Negotiating Term Sheets: What’s best for the company and what’s best for you?” and “Deal and Product Valuations”. The workshops offered an insight into a wide variety of topics that are crucial in the initial startup business life, from outbound global fundraising, ever-changing investor landscape, the latest trends in term sheets, to founder and management compensation and equity and different aspects of valuation. Michael Mesa, and his partner Tim Warneke, had the opportunity to sit at the investor panels as well as the Early Stage Entrepreneur Panels, and said to have gotten a lot of useful information on early stage investing, process of engagement and fundraising in general. “It was a good experience for MESA Science”, according to Michael, the CEO of the company. “It definitely exceeded our expectations for a non-animal research related conference”. Michael spent most of his time interacting with the individuals and the companies interested in the animal research and the kind of innovation MESA delivers. Michael believes this conference should be an excellent experience for biotech companies, and would highly recommend it to anyone in that industry in particular. Yunbiao Lu, the founder of RebuImmunity believes RESI to be “a very great platform for both sides of small business who are seeking funding support and of investors who are looking for the products or companies that are worthwhile to invest.” This was Yunbiao’s first attendance to the conference, and he wishes he better used the RESI website resources before the conference to set up his appointments and talk to the right investors. Yunbiao will gladly attend another one in the future. Other companies, such as Abilis Life Sciences, found this conference to be an excellent choice of time. “It was an efficient use of our time as we managed to pre-schedule eight of our meetings thanks to the conference’s pre-scheduling program”, said Barry Cohen, the CEO of the company. 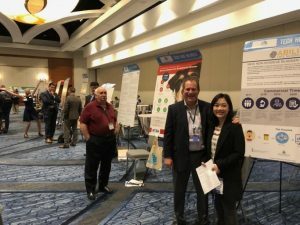 Barry also utilized his schedule by talking to a number of potential investors while displaying his poster as well as attending several different workshops in the meantime. Jon Rowley, CEO of RoosterBio described the RESI as a great platform for connecting start ups with investors. “There were more early stage investors there per square foot than any other place I have been – so a perfect audience for FITCI clients,” said Jon. “There were also the big pharma VC offices – which is great,” he added. RESI continues to be the only dedicated early stage partnering conference across the domains of drugs, devices, diagnostics and digital health, partnering with companies, including Johnson and Johnson Innovation Labs, Stetson Family Office, McDermot Will and Emery and others. It is an ongoing conference series that provides an international venue for early stage life science companies across Biotech, Medtech, Diagnostics and Healthcare IT and to source investors from around the globe, create relationships, and eventually, secure funding. The clear edge of these kind of conferences is the shear amount of opportunities presented to the attendees, as networking and education chances are abundant with more than 800 companies in attendance. The RESI conference was a great experience for FITCI’s representatives and we hope to be in Boston for the following one in 2019. Stay up to date on FITCI events & our latest news. © Copyright 2018 - 2019 . All Rights Reserved. The Frederick Innovative Technology Center, Inc. (FITCI) is a business incubator and accelerator designed to cultivate entrepreneurship in Frederick, Maryland. Get Connected! Stay up to date on FITCI Activities and Events.